The Sport Pilot certificate was created in September 2004 after years of work by the Experimental Aviation Association (EAA). The intent of the new rule was to lower the barriers of entry into aviation and make flying more affordable and accessible. The new rule also created the Light Sport Aircraft (LSA) category of aircraft which are smaller, lower-powered aircraft. The sport pilot certificate offers limited privileges mainly for recreational use. It is the only powered aircraft certificate that does not require a medical certificate; a valid vehicle driver's license can be used as proof of medical competence PROVIDED the prospective pilot was not rejected for their last Airman Medical Certificate. Fly one solo cross-country over a total distance of 75 or more nautical miles to two different destinations to a full-stop landing. At least one leg of this cross-country must be over a total distance of at least 25 nautical miles (46 km). The above requirements are for heavier-than-air powered aircraft (airplanes). The requirements for gliders, balloons, helicopters, and dirigibles vary slightly. 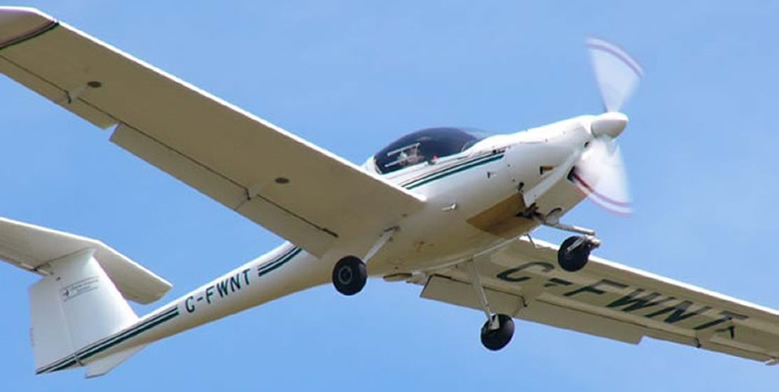 Sport Pilots are only eligible to fly aircraft that are either certified specifically as light-sport aircraft (LSA) or were certified prior to the LSA regulations and are within the maximum weight and performance limitations of light-sport aircraft. The Sport pilot certificate is also ineligible for additional ratings (such as an Instrument rating), although time in light-sport aircraft can be used towards the experience requirement of other ratings on higher certificate types.